Bus stops serving the Haywards Heath are situated near the train station. 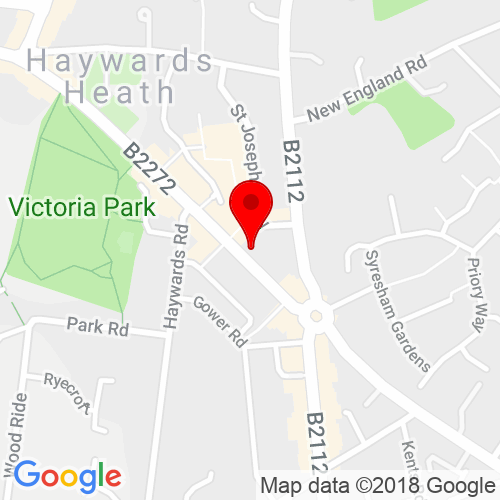 Haywards Heath train station is situated within a ten minute walk to the salon or a four minute drive. The nearest car park is Orchards Car Park, which is just around the corner from South Road. Click here to see the current price list for Rush Haywards Heath. Our stunning Haywards Heath salon is situated just passed the church on the busy and popular South Road. With sophisticated and modern interior, this gorgeous salon is the perfect place to sit back, relax and revitalise your look. With a team of award-winning stylists, we’ll ensure each and every time you visit the salon, you’ll leave with a confidence-boosting new look that’s tailored just to you. With a large selection of professional products on offer, from L’Oréal Professional, Kératase, Redken and much more your salon perfect hair can be maintained between visits. After all, a great hair day can put you on top of the world! Despite being the newbie on the high street the team at Haywards Heath are here to ensure you get the best treatment and leave the salon feeling fabulous and full of confidence. Whether it’s just your ends needing a quick trim, top up your colour or go for a completely new do, our team of experts are on hand. We want your time at Rush Haywards Heath to be a real pampering experience. 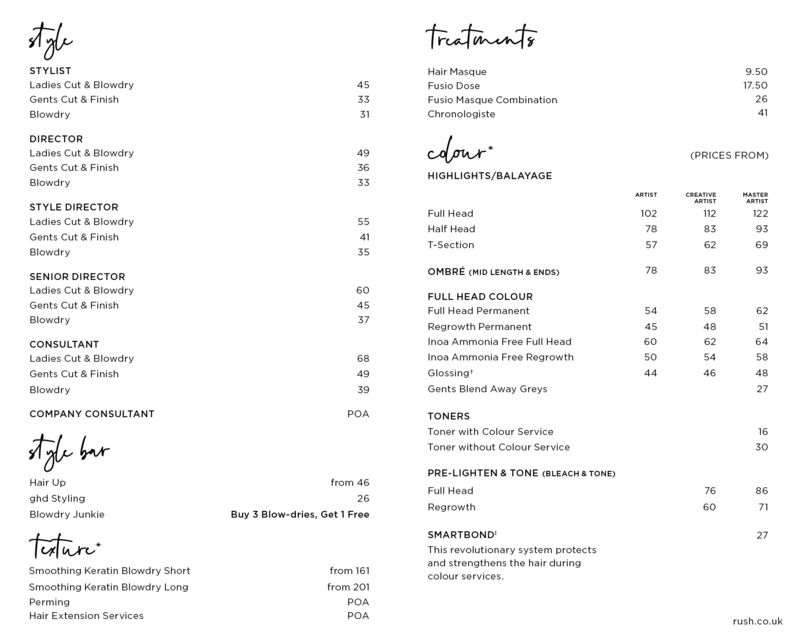 You’ll enjoy a sumptuous head massage in our relaxing, backwash spa area, and then sit back with a magazine and a hot drink before having a bespoke hair consultation to understand and achieve all your hair desires! Our hairdressers in Haywards Heath are trained in some of the more specialist services, such as Brazilian Blow Drys so if you’re after more volume or movement in your hair, just pop in and speak to our stylists and we’ll happily go through all your options to suit your hair. Open until 8pm every weekday and open on Saturday and Sundays too, pop by to meet the team today and enjoy a salon appointment not to forget! Rush Haywards Heath’s 40% Off Colour Day is Tuesday. My treatment felt very personal, my stylist understood my hair needs and offered some great alternatives to spice up my hair colour which I had never considered before. I loved the end result! Great addition to the high street. I enjoyed my hair cut and blow dry, I found the staff very friendly and the atmosphere was great. Amazing experience, i love my balayage look which was finished with a bouncy blowdry. Thank you Rush Haywards Heath for the amazing transformation. Finally found a fantastic hairdresser. I wouldn't want to go anywhere else now.